Some health issues slowed down my painting progress, but I got some stuff done on the scouts, plus a little somethin' Orky. 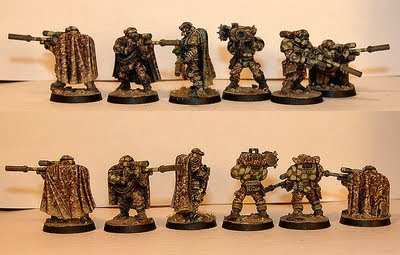 The bulk of the sniper team painting in progress. 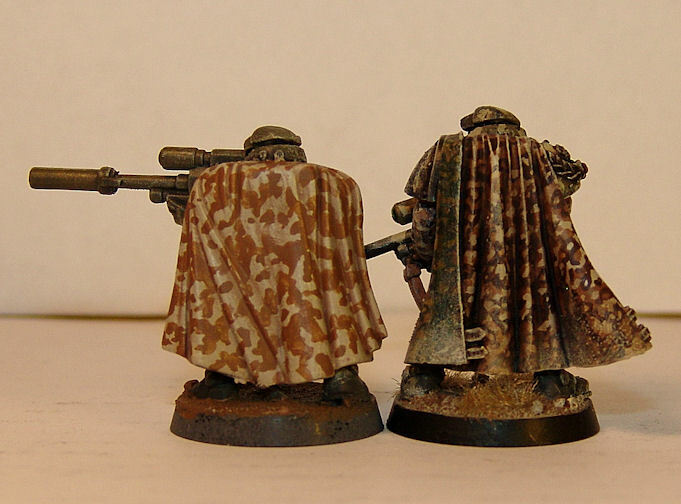 First two colors on the camo cloaks and basic olive on the armor. The Sergeant was my "test mini". I kept telling myself I'd keep the camo simple, but too many years of painting 1/35 scale WW2 German camoflage got me in some trouble. Here's the phase 2 scheme and the finished Sergeant's cloak. 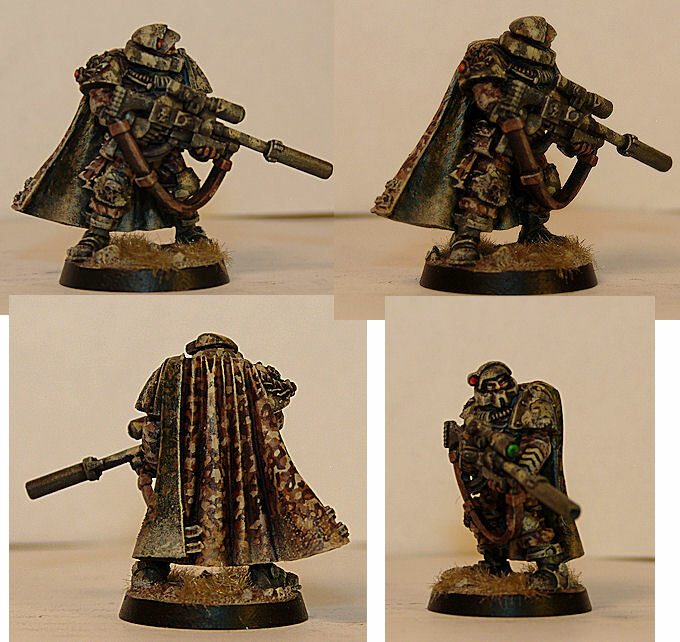 And here's a comp of diffferent angles on the, as yet unnamed, Scout Sergeant. ....... and "a little sumfin' Koota an' da boyz iz workin' on"
That's all for now. More to come, keep checking back. 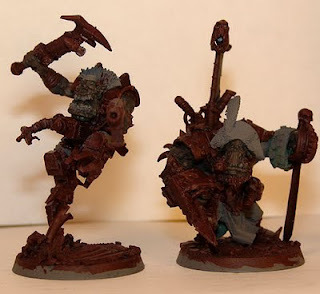 I got the scouts built with some minor conversions. I used the Sgt Telion model as the base for my Scout SGT and all of my scouts have helmets (yeah.... helping keep the novices alive with a helmet sounds like a good idea, huh) The heads are from these lovely folks and I personally love the way they look. Originally, I wanted to really camo these guys out with a Ghille like cloak and such, but I gave in to the time constraints (which I told myself I wouldn't do) so I could ACTUALLY PLAY with my minis. Tonight, I primed them, blocked in the undercoat of the GW foundation color Chardonite Granite, which I base my olive greens with. The armor will be dark olive with a 'field applied camo" like the razorbacks and the cloth will be a camo pattern. My one big gripe with the cloaked scouts is that if you assemble them they are harder to paint any details on....something I'll keep in mind for the next sniper team I build. Razor Squad 3 is 90% done, good enough for me for table top, but I'll get back to some details on them once the other two are close. I did, however, change the weapon on their SGT, so now both teams have a combi-melta for any pesky vehicles I might need to deal with. 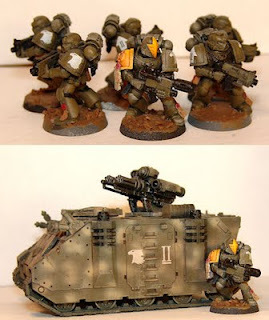 That's all for now, but I'll likely have more work done by Friday or so... my weekend will be shot to pieces by my out-of-the-house job, but I expect to squeeze in as much painting as possible to get the Raptors patrol force as close to table ready as possible before next Wednesday. So, check back. 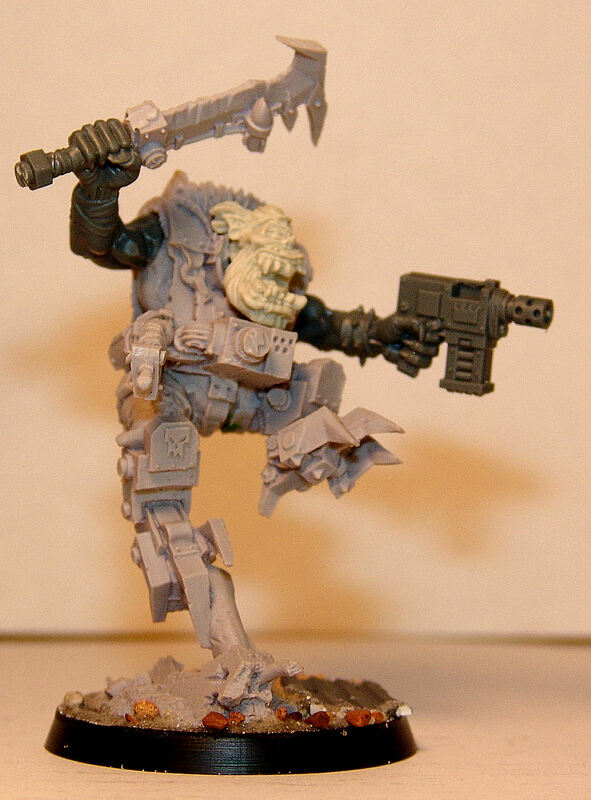 "Da Kap'n would like a word wiv ya." 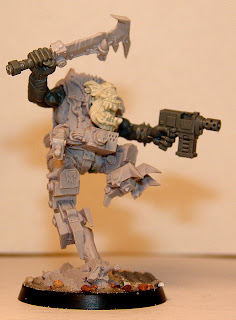 Along with basing my Raptors, I did some work on the Orks that have been glaring at me from my work table. 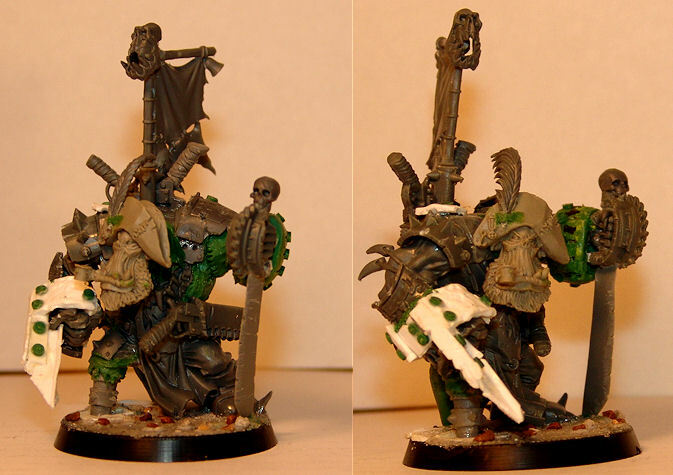 Da Kaptin is now done and awaiting his primer. He has a snazzy new stabby fist, made from dreadnaught parts,scrap metal and an I beam. 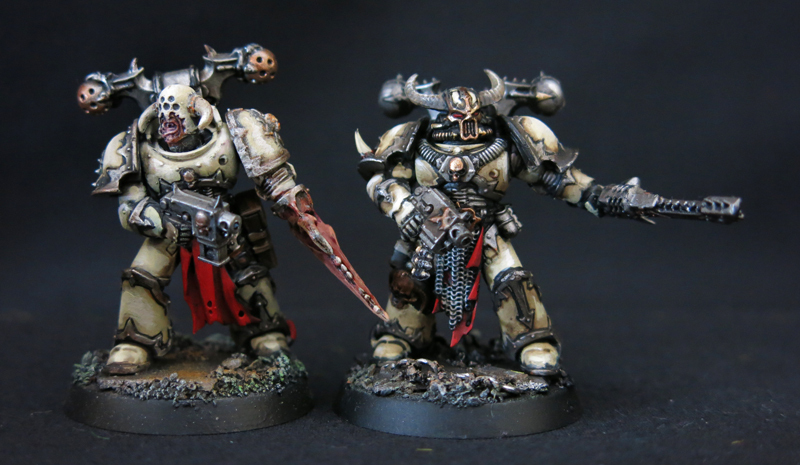 There have been some folks complaining about Citadel Finecast. I must have gotten lucky, this model was beautiful, with no more fixing than any metal piece, yet a joy to work with. Now,he'll have to get painted. 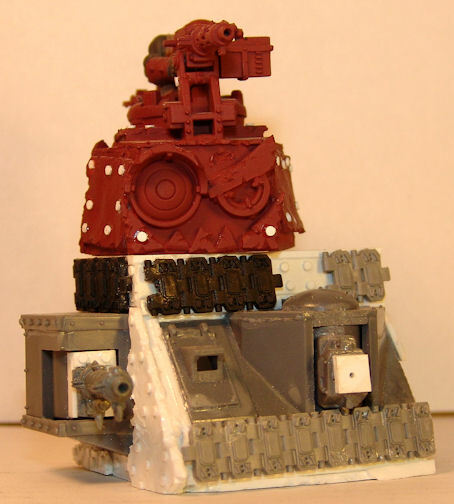 And, last but not least...... the first of the Venerators of Osiron. 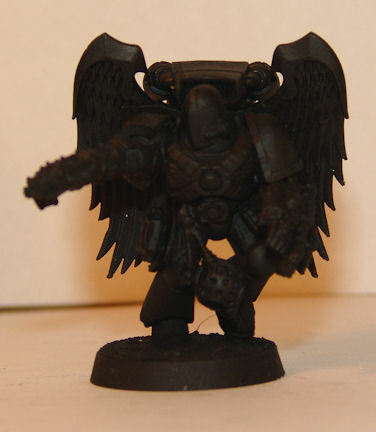 He is one of "The Faceless", the Venerators version of Sanguinary Priests. 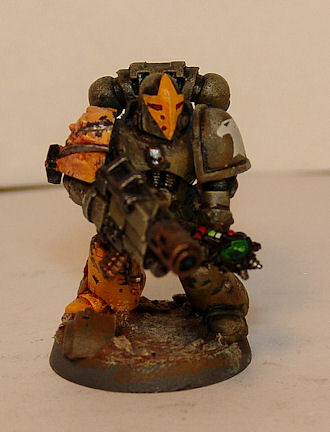 I'm still wrestling with a paint scheme for these guys, so he'll likely have to wait until my Raptor tactical squad and scouts are done for the upcoming 40k league before he gets any paint, but who knows what might happen in Photoshop? That's all for now. Cheers, ya'll!